I’ve always been the type of girl who personally loves taking the time to put on a full face of makeup. I honestly enjoy blending out a pretty eye look, winging out my eyeliner, and contouring my cheekbones. But, as we all know, there are those days — or phases of our life — where we don’t have time to do it all. I was in just that phase a few months ago during the beginning of my pregnancy. My morning sickness stuck around for a good 3 months, and because I felt so sick most days, I just didn’t have the energy to put on a full face of makeup whenever I went out. So I had to rethink the way I did my makeup, and it didn’t take me long to find out what worked for me. It was something quick and easy, but left me looking really put together (even if I didn’t feel it!) 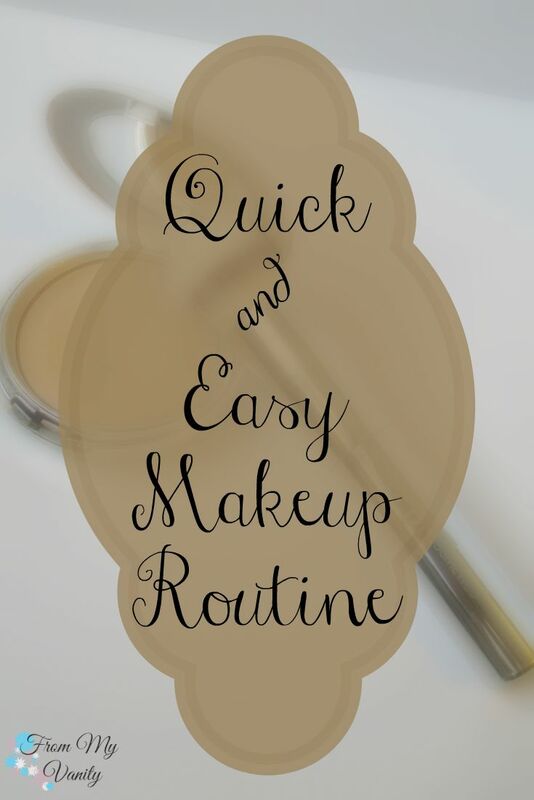 I thought it would be fun to share with you all my quick makeup routine — these were the bare necessities for me whenever I went out with my hubs during my morning sickness. 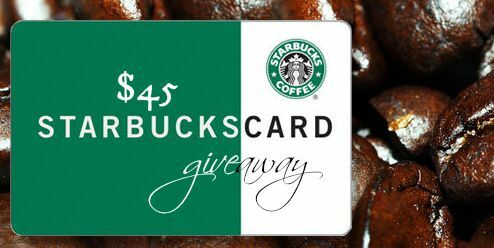 And, as you saw in the title, keep reading all the way to the end for a sweet *Starbucks* giveaway! Before I jump into the step-by-step tutorial, I just wanted to share with you an amazing product that I could not have survived without! It’s two products, actually, but they worked in harmony so well together, it was all I would ever use to cover up my acne scars. They’re the It Cosmetics Celebration Foundation Illumination and the It Cosmetics Heavenly Luxe Double Airbrush Foundation Brush. As you can tell from the fact that I hit pan on this product, I love it (and this is coming from a gal who has NEVER liked powder foundations in the past. I’ve always been a strict liquid-only foundation). When I used this foundation, not only did it blur out imperfections, but it also gave me a very natural and healthy glow to my face (which, during this phase of my life, I was feeling anything but healthy and glowing :-P). 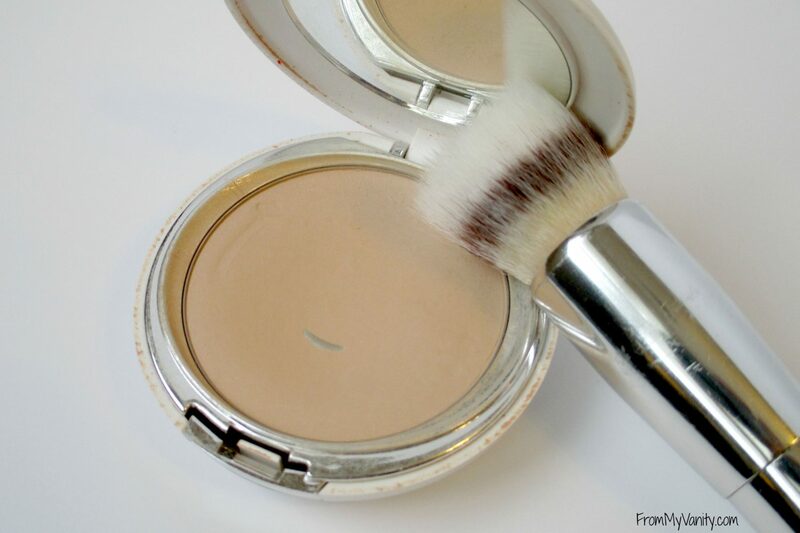 I use this foundation in the tutorial today, so you’ll be able to see how well it covers with very little effort. And the brush I mentioned blended it on so well. It didn’t cake on the product at all — it really does give you an airbrush finish. I highly, highly recommend them both! Step 1: Foundation. As I’ve already said above, the It Cosmetics Celebration Foundation Illumination was all I would use. If I had a really major/large acne spot, I might use a bit of concealer, but for the other imperfections and hyper-pigmentations on my face, this foundation covered it all very well and I didn’t feel the need for anything else. I’d buff this into my face with the It Cosmetics Heavenly Luxe Double Airbrush Foundation Brush and I’d be good. Step 2: Eyeliner. This step is totally optional and very dependent upon the individual. I, personally, feel like my eyes look very ‘naked’ if I don’t at lease line my upper lash line. And if I had enough energy, I prefered to wing it out. It only took a few more seconds of my time, and I felt like it took my makeup up another notch. To save on time, I used the Physicians Formula Eye Booster 2-in-1 Lash Boosting Eyeliner + Serum in Very Black. I was able to get a very sharp wing without having to mess with a pencil and gel pot. Step 3: Mascara. You can’t forget this step! I preferred to go with a formula that had a dryer consistency than normal, that way I didn’t have to fuss too much with the mascara. I just applied it in a few swipes and was good to go. The Almay Get Up and Grow Mascara worked really well for me. Step 4 Contour/Blush: I, personally, feel that if I add a bit of contour, I can skip blush. If you’re the gal who would prefer to skip contour and have blush, than go ahead and do that. I wouldn’t spend a lot of time contouring — I was mainly wanting to give some color back into my face after the foundation, and since I am naturally of a warmer skintone, I find that adding some bronzer to my cheeks and jaw does just that for me. I’m using my all-time favorite Too Faced Chocolate Soleil Bronzer. Step 5: Lipstick. Another step that you really don’t want to skip! It can totally change your look, just by adding a bit of color to your lips. I typically went for a soft pink color, but sometimes I would reach for a bold, bright color. Easy way to go glam in an instant! 😉 If you’re wanting to know what I used in this tutorial, it’s Rimmel’s Lasting Finish Lipstick from the Kate Moss collection in 17. Bam! There you go! In just 5 steps I would be feeling way more put together than when I started, and with minimal effort on my part! What are your must-have makeup steps when you’re going for the bare minimal? Are ours the same? DETAILS: This giveaway is open worldwide! 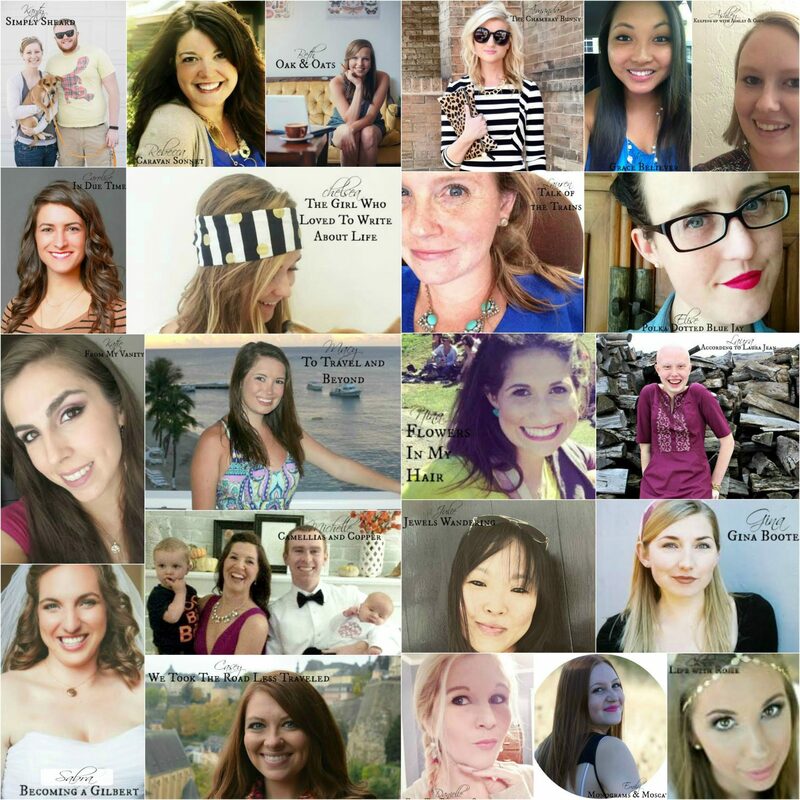 You must follow all the gals on bloglovin’ in order to be entered — all entries will be verified. So make sure you get them all so you don’t miss out! This giveaway will end on Friday, August 21st at 11;59 pm EST. I hope you discover a bunch of new blogs to read through this giveaway — and win some Starbucks while you’re at it! If you’ve found my blog because of this giveaway, then welcome! Please leave a note below and let me know how you found me! Yes, that is what got me through feeling so horrible — it was quick and easy and I looked put together 🙂 I sometimes think I am addicted to winging out my liner…I almost can’t help it, haha! But, yes, a little shadow in the crease is a great substitute. You look fabulous! You don’t look like you’re suffering from morning sickness at all. I wish I could do winged liner as well as you. Thank you Allison 🙂 I think around week 20 the morning sickness began to leave. I was/am still pretty sensitive, so am always careful to keep my body well rested and fed. But feeling SO much better than that first trimester. That was rough! i LOVE a quick and easy look. your wing is fierce!